This entry was posted in beast and tagged bird, mystery, pigeon. Bookmark the permalink. The shady character in the top photo reminds me of the birds hanging around the outdoor patio at the McDonald’s by Harrah’s. It’s good place to get a cheap drink on the Strip but several of these guys and some smaller birds were eyeing me when I went in and started following me when I left. There were some people actually eating at the outdoor tables…I’m not sure I’d trust the air rats hanging around to not try grabbing a snack! 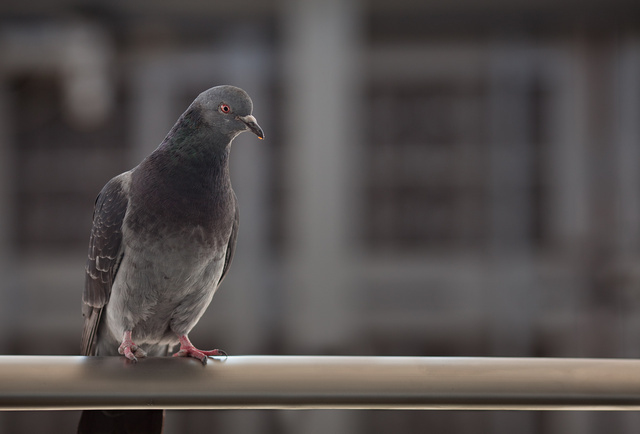 The pigeon looks very smug… (wondering), as a pigeon that just ate what? Someone’s last piece of particularily delicious popcorn? 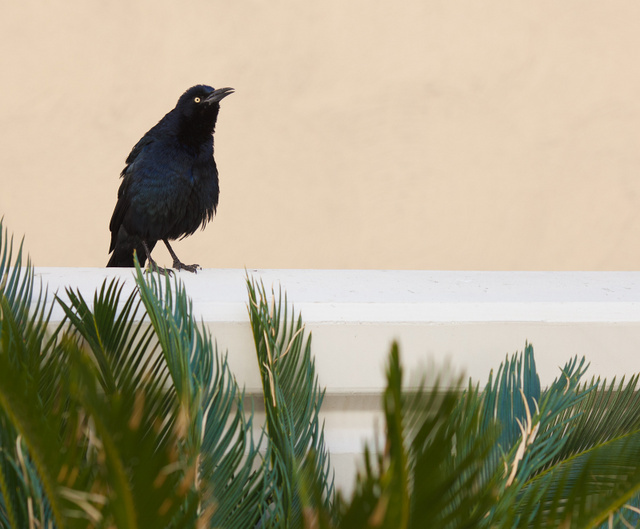 The mystery bird is a great-tailed grackle. This one is looking rather scruffy or maybe just puffed out and about to call. Their “song” is a random bit of clicks, screeches, and other odd noises. They are rather amusing if somewhat odd birds.